To give you an idea of how the service I offer has helped others in the past I have shown below some client feedback. These clients have very kindly shared their views and have written the text in their own words. I am immensely grateful to them for sharing their experience in this way. Since our first session I have been through a process of parting from the baggage of all the emotions which were in my mind for years. I had clumped all of these emotions as one big emotion. I had never thought of separating them, in my mind it was all one. I can really feel the benefits of what we did together a few days ago. I felt relieved that in my mind the stress and shame no longer had a place. I had already done so much work on myself, this was more the ending that I needed as I could not separate myself, by myself. The homeopathy is really helping me alongside in terms of my anxiety and digestive issues. I feel that most of the physical symptoms I have been experiencing were as a result of the anxiety and stress that I had been holding on to for so long. The more I let go of, the more headspace I feel I am acquiring for other things and being a better person, more importantly, the person I have been longing to be for so long. I have shed a few tears, they’re not even tears of hurt anymore, simply a story that I had in my mind and of what I went through. I would love my daughters to go through this process too as I think they’re suffering with the hurt and pain also, they too saw their mother grieving from a very early age. Thank you so much, I’m so glad I joined your programme. Sadhna. I came for the session because I wanted to have a fresh start, I wanted to move on from past emotions and thought patterns etc. I didn’t really know what to expect and I came with an open mind. Sadhna explained the process really well and I felt comfortable going ahead with the session. She reassured me that it would not involve delving into specific details or events and that made me feel more comfortable and at ease. The session proceeded at the right pace, not too fast or too slow. After the session I didn’t have any heavy emotions or thoughts come up and felt quite refreshed and ready to move on. Since the session I have noticed that I have been feeling more centred and settled and clean. Any issues that I have had to deal with have not disturbed my peace for long, whereas before I would continue to think about them and lose sleep. This is a big shift for me as I have had this habit for many years. Thank you Sadhna for providing this service. I decided I would like to try Sadhna’s Reinvent Your Life Programme which included Time Line Therapy which I had never heard of before. By the time you get to my age (in my eighties) a lot of past events leave challenges for the present and I carried a lot of guilt about various issues. Sadhna explained how the sessions would proceed. Each time Sadhna’s lovely calm voice took me back along the timeline of my life to my childhood, birth and beyond. She was gentle and explained how to float back in time from high above and observe my life from above . It was a wonderful journey recalling my unconscious thoughts and memories. It was a fullfilling experience as I was coaxed to let go of my negative feelings which had been buried in my unconscious for many decades. After the sessions I found I was relieved to let go of some feelings, fears and responses to long buried events. When negative thoughts now trouble me, I find it’s much quicker and easier to release and overcome them. I think Sadhna approached the sessions in the right spirit and it has been a very therapeutic experience and I now feel much calmer in my approach to negative issues. Sadhna is a very good, capable and kind therapist and it is a very relaxing treatment which I would thoroughly recommend. I have been feeling somewhat ‘stuck’ for a while now and needed help to enable me to ‘shift’ my thinking, so that I could move forwards. Having heard great things about Sadhna from my network, I decided to give her a call. Sadhna came cross as natural an unpretentious and was easy to talk to. She told me about her Reinvent Your Life Programme which has helped a number of her clients to challenge their thinking and try to remove obstacles to their success. Following our initial call I took a few days to reflect and then decided to go for the programme. I’m glad I made that decision as since the first session I feel much better, have more clarity, and have re-evaluated my goals. I would definitely recommend this programme to anyone who wants to refresh their thinking and make profound changes in their life. I do believe you get what you pay for and as expected, a programme of this nature is not going to cheap. That said, it isn’t a one off expense such as a new handbag, it’s a real investment in you and the person you want to be. If you value yourself and can invest the time and money the programme warrants, then go for it! We have been seeing Sadhna for since 2012 and I feel very blessed to have her in our lives.She has always been there and in between consultations is always on the end of the phone too. Her gentle presence and soul have been one of the main stays in our lives over many years now and many ups and downs. We are like I said very blessed to have her in our lives. I was at a stage where I was beginning to feel frustrated with not being able to shift the last few stubborn pounds of fat that I was holding on to. Even though it was only a few pounds, I was feeling frustrated and uncomfortable within myself, and worst still, I wasn’t sure what else I could do to help myself. In fact, I was beginning to think that I needed to accept that this the way I was going to look for the rest of my life. I regularly go to the gym and have done so for the past 20+ years, I’ve worked with a personal trainer in the past too, I generally eat a wholesome healthy diet. 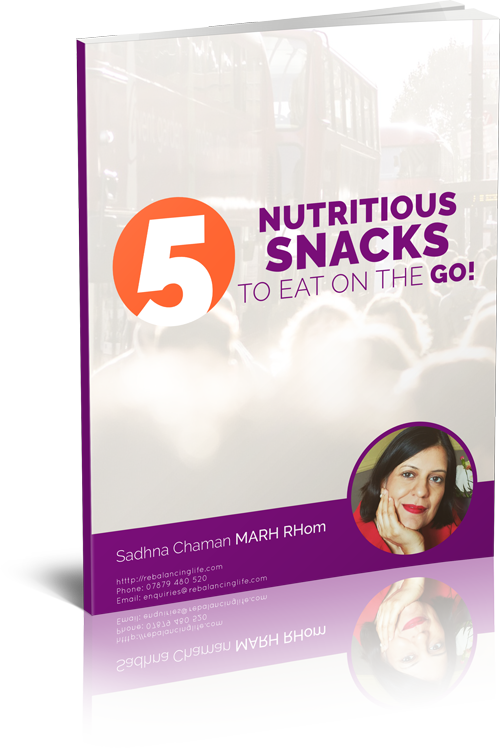 My biggest challenge though was snacking after a meal on the wrong things, which I couldn’t help. I have taken these drops for 28 days and I feel so much better now, I’ve lost the fat that I had held on to for so long and I feel so much better in my own skin. Each time I became stressed and busy with my work I found myself being dragged down with sore throats, chesty coughs, colds and infections. My energy levels would become low and my studies and work would be put on hold with each bout of illness. I would try all the home remedies but would eventually resort to antibiotics and so the vicious cycle would start all over again with my symptoms becoming more frequent and intense each time. My health was beginning to interfere with all the things I wanted to do in life. I was looking for a permanent cure and someone suggested that I try homeopathy. Not quite sure what to expect as I had no experience of this in the past, I decided to give it a go. I was diagnosed with a cyst in my back that was compressing on a nerve, which caused pain down my left leg, to the point where I couldn’t walk, stand, sleep or sit for long. I haven’t been able to work since February 2016 as my job which was physically demanding and even my housework became hard. I was struggling with day to day life. I was offered Physiotherapy and an injection to numb the pain, but these did not help me. My only option was to have surgery but there was no guarantee that the cyst would be removed permanently and that I would be pain free. So I turned to Homeopathy with Sadhna. I am now able to manage going to the gym once a week, a little housework at a time, I do sleep better due to less pain and the remedies have helped me feel better generally and to be able to cope better. I feel better, being able to manage day to day life and I feel relieved within myself. These case examples are included to illustrate what can be achieved by working with the mind and body with homeopathy and various modalities of holistic healing. The therapies I offer do not aim to treat or claim to cure any medical conditions. You are the person that can do that and I am able to support you. Treatment is always tailored to the individual and specific results cannot be guaranteed. If you’d like to add your own testimonial, please contact me.